Doing business in the Philippines could become a lot easier in the near future. After the country’s dismal performance in the World Bank’s “Doing Business 2018: Reforming to Create Jobs” index, the country is determined to turn things around and improve business conditions there. Released at the end of last year, the report from the World Bank revealed that the Philippines has dropped 14 places – from 99th to 113th – in the ease of doing business list. This puts the Philippines in the bottom half of the list of 190 countries. Across Southeast Asia, the country was outranked by Singapore (2nd), Malaysia and Thailand (26th), Brunei (56th), Vietnam (68th) and Indonesia (72nd). The only other countries that were ranked lower on the list were Cambodia (145th), Lao PDR (141st) and Myanmar (171st). According to the World Bank, “A high ease of doing business ranking means the regulatory environment is more conducive to the starting and operation of a local firm.” To highlight the state of doing business in the Philippines, the World Bank compared the hypothetical experience of a software entrepreneur wanting to start a business in Canada as opposed to doing the same in the Philippines. In Canada, it would take just two steps for the person to start a business, and the entire process would only take one and a half days to complete. Meanwhile, a Filipino entrepreneur would need to complete 16 steps which would take him/her 28 days to have the business established. 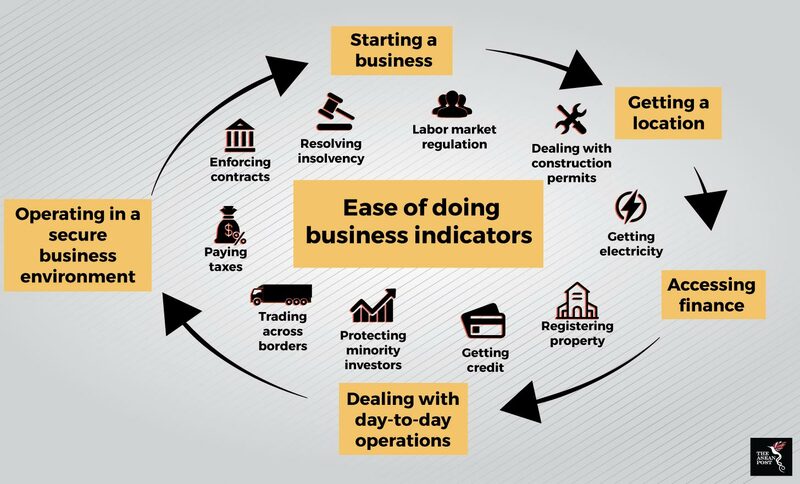 Lopez added that the government’s inter-agency task force on ease of doing business is stepping up efforts that will help push up the nation’s ranking in the upcoming 2019 report. One concrete step has already been put in place by the government. In May, President Rodrigo Duterte signed into law Republic Act No. 11032 or the Ease of Doing Business and Efficient Government Service Delivery Act. Among the key features of the law is that it will reduce red-tape that has burdened many businesses in the country. Local media reported that the law will see the end of multiple forms from different government agencies for entrepreneurs to fill when setting up a business. The new law will mandate the use of a single form that consolidates all requirements as opposed to the many forms in the past. Part of the law also includes the creation of a central business portal that will receive all business applications. This would cut layers of red tape and make information more transparent and accessible. Other steps Duterte’s administration has taken to attract foreign investors include allowing firms with up to 40 percent foreign ownership to bid on locally funded infrastructure. Previously, the limit was 25 percent. Aside from that, the Ease of Doing Business task force is also studying different methods of streamlining business registrations. At the moment, the task force is trying to implement a three-step in three days system for business registration. While efforts to improve the business environment in the country should be welcomed, the focus on the World Bank rankings should be secondary compared to the needs of the people and local businesses. Various economists and analysts have spoken out against the rankings, pointing out its flawed methodology. Earlier this year, the World Bank’s chief economist came under fire for suggesting to the Wall Street Journal that the World Bank’s Ease of Doing business list could be compromised by methodologies marred by political bias. 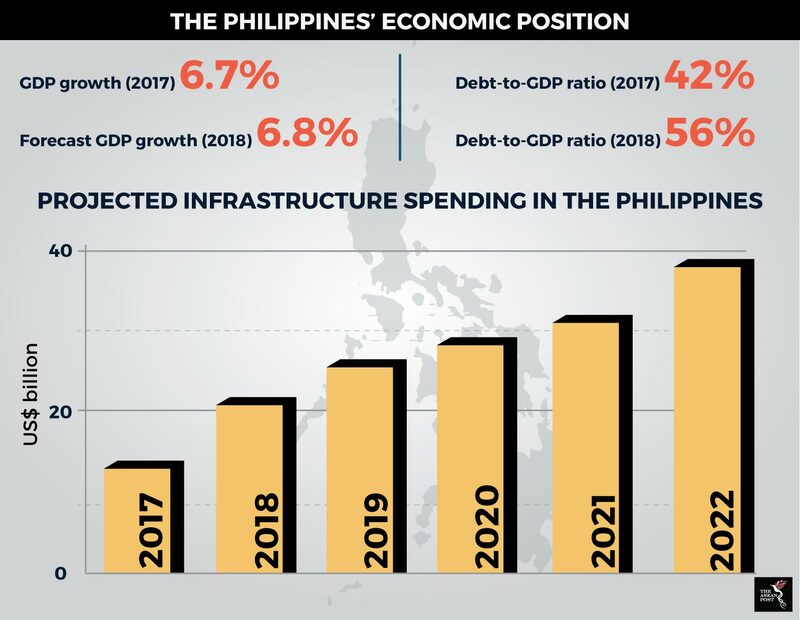 The Philippines is currently in an economic slump and reforms are definitely needed. In September, inflation hit 6.4 percent, the highest it has been in almost a decade and well above the central bank’s target of 2-4 percent. Also, the falling peso has also compounded the rise in the price of goods in the country. The government’s difficult task now is to find reforms that could attract investors while also pursuing reforms that will protect the people in difficult times. Can the TRAIN bill save the Philippines?